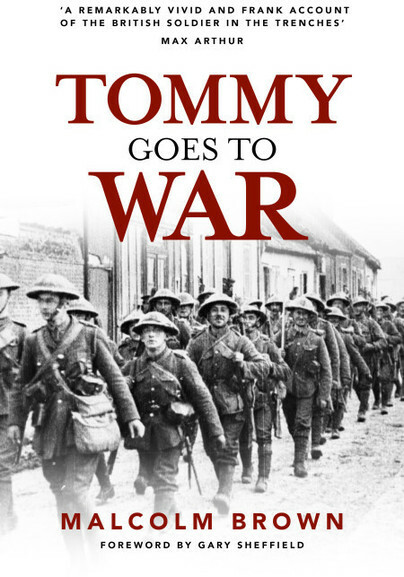 You'll be £14.99 closer to your next £10.00 credit when you purchase Tommy Goes to War. What's this? Order within the next 2 hours, 20 minutes to get your order processed the next working day! Tommy Goes to War is a classic pioneering work of First World War history, presenting a fascinating account of the life the British soldier on the Western Front. Based on carefully chosen extracts from the unpublished letters, diaries and oral testimony of dozens of ordinary soldiers, it presents a vivid, detailed portrait of soldiers' experiences from enlistment through front-line service to demobilisation. The authors brings in the experience of soldier’s when they went into the line, and detail on how fear various between the men, and the experience of shell shock, and the hopes some had for a ‘cushy blighty’, soldier standing orders and more humorous ones such as ‘it is considered very unlucky to be killed on a Friday’. Throughout are ordinary soldiers unpublished letter and diaries, oral testimonies. Well and elegantly written, this book, for all that some of the judgements are slightly dated, presents a subtle but comprehensive challenge to all the lazy narratives which have grown up around the First World War and I highly recommend it. Packed with superb material & excellent text from Malcolm & a new intro by @ProfGSheffield - recommended.